what type of oven do you use at Kidgredients? why did it take me longer to cook this? Often, recipes take a different amount of time to cook than the recipe states. That can be because your oven doesn’t heat as efficiently, or because it might not quite be accurate. Just keep an eye on the recipe whilst cooking. what is self raising flour? Self raising flour is flour with a leavening agent (normally baking powder) already in it. If you don’t have any the ratio is one cup of plain flour to 2 tsps of baking powder. what can I swap for coconut oil? Coconut oil is a favourite here, but you can swap it for the same amount of melted butter or another low taste oil, like rice bran. can I make this egg free? There are a lot of ways you can substitute eggs in a recipe. Of course, in something like an omelette, you can’t really swap out the eggs. But otherwise, you generally can. Some options include making a chia egg (1 tsp chia seeds and 2.5 teaspoons water mixed and left for 5 minutes), using pureed apple, pureed banana, making a flax egg (same as chia but with flax seeds). will this work gluten free? I have lots of gluten free recipes, but some haven’t been tested as gluten free. I can’t guarantee something will work for you if you make it gluten free, things like that take a little experimentation! how can I make this dairy free? Butter can be swapped for melted coconut oil and most milks can be swapped for rice milk or soy milk. Yoghurt can often be swapped for coconut yoghurt. These ingredients can all behave differently, so might require a little adjustment. what lunchboxes are your kids using? Both of my kids swap between the yumbox panino and the yumbox original or a little lunchbox company bento 3 or bento 5. For recess they each use a yumbox minisnack or my son has a little lunchbox co bento 2. For crunch and sip they both use a fuel snack and dip. what cooler bags are your kids using? We have a few, we love the soyoung bags as they are washing machine safe. We also use a medium fridge to go, and the new yumbox ones which hold even a tapas. For ice packs, we use either medium fridge to go panels, or decor icewalls. 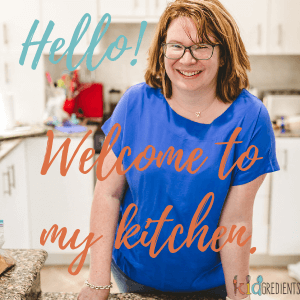 what kitchen appliances do you have? Pretty much everything. Muffins, muesli bars, meatballs, pasta, scrolls, biscuits. There’s not much from the blog you can’t freeze. how do you freeze things? Generally speaking, I freeze flat on a tray and then transfer to freezer bags or containers once solid. I find this means that nothing sticks together and it is easier to get out. Dinners I freeze in portions, either in microwave containers or oven dishes. I freeze kid size pasta dishes etc in the weanmeister adorabowls.